Winter is finally coming to an end! It’s great news for many reasons. 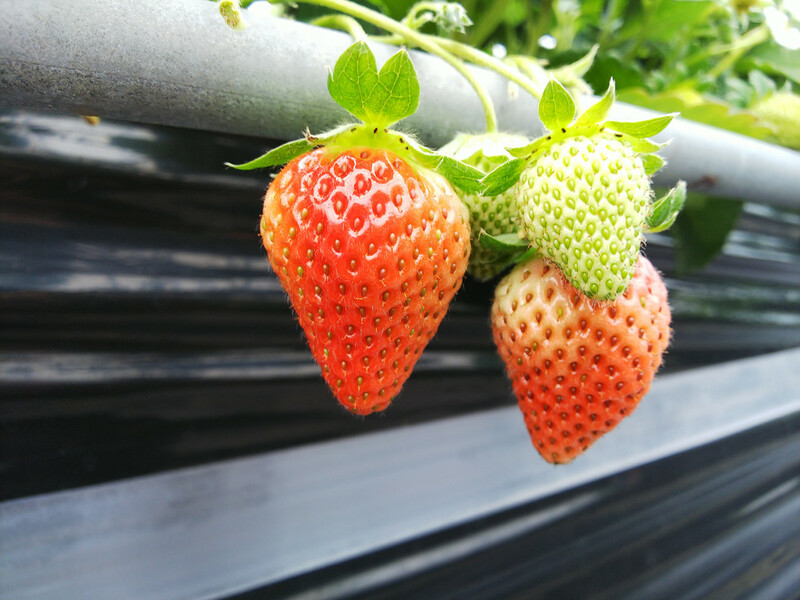 One of them is that it means that it’s strawberry season! 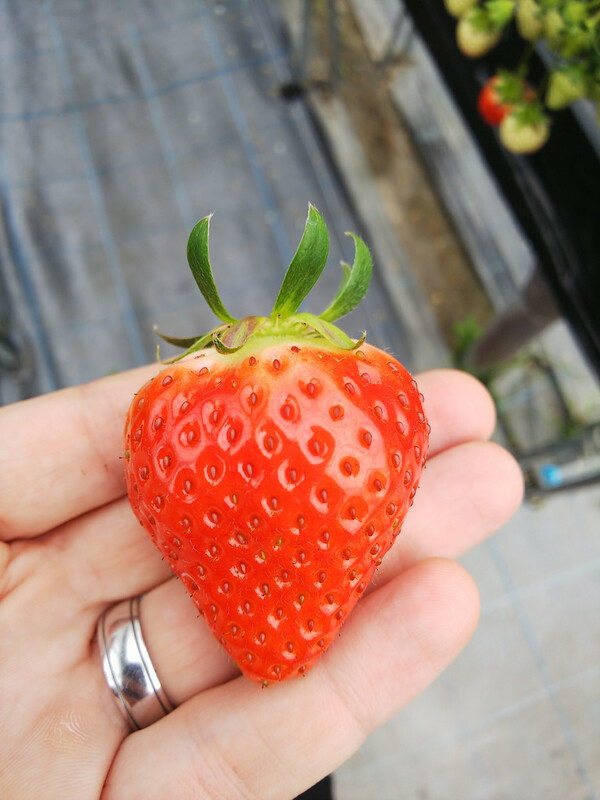 And there is a place in Takamatsu that only grows strawberries, but where you can also pick them yourself and eat them on site! This is exactly what we did a few weeks ago. 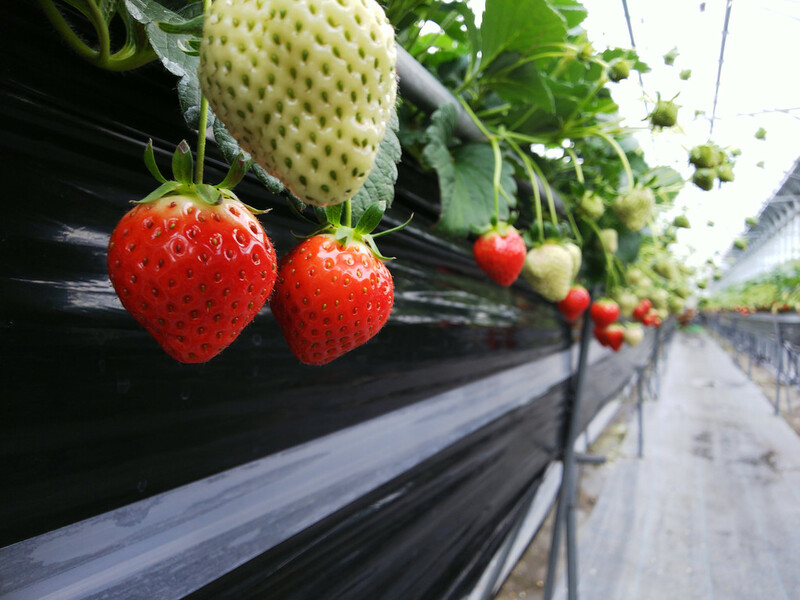 The place is called Ichigo-ya Skyfarm and if you’re familiar with Teshima, you may be familiar with the Ichigo-ya snack place. It’s the same company. 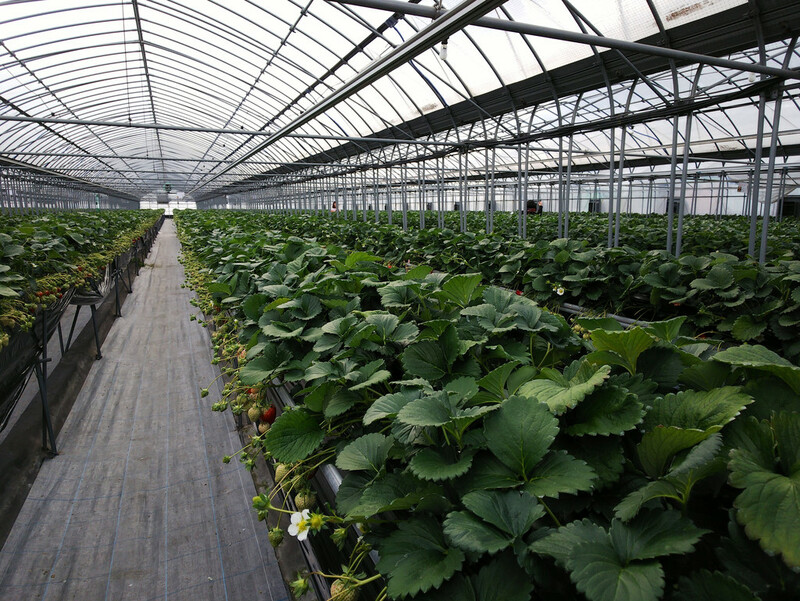 They grow strawberries both on Teshima and in Takamatsu. 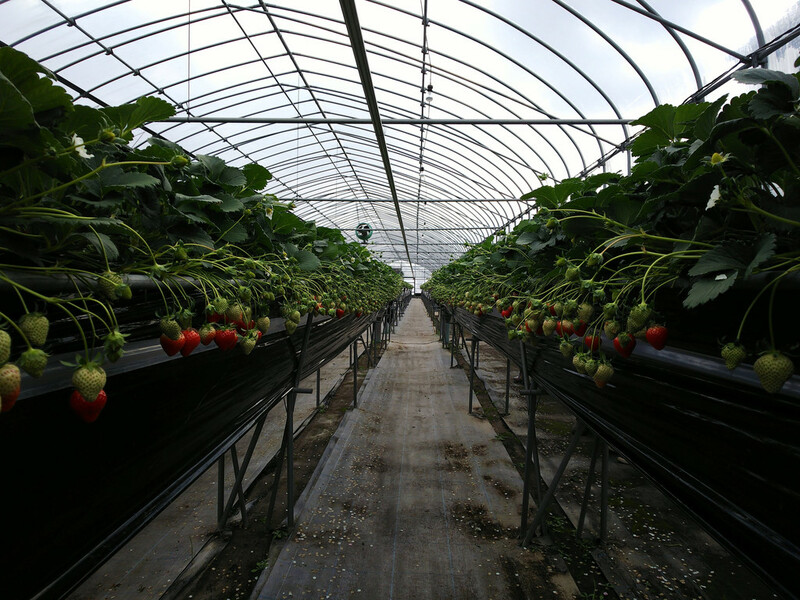 There is a small place by the greenhouse (and even inside the greenhouse) where one can eat a bunch of strawberry-based snacks, but the fun thing about the place is that one can pick and eat strawberries inside parts of the greenhouse if they wish to. Here is how it works. 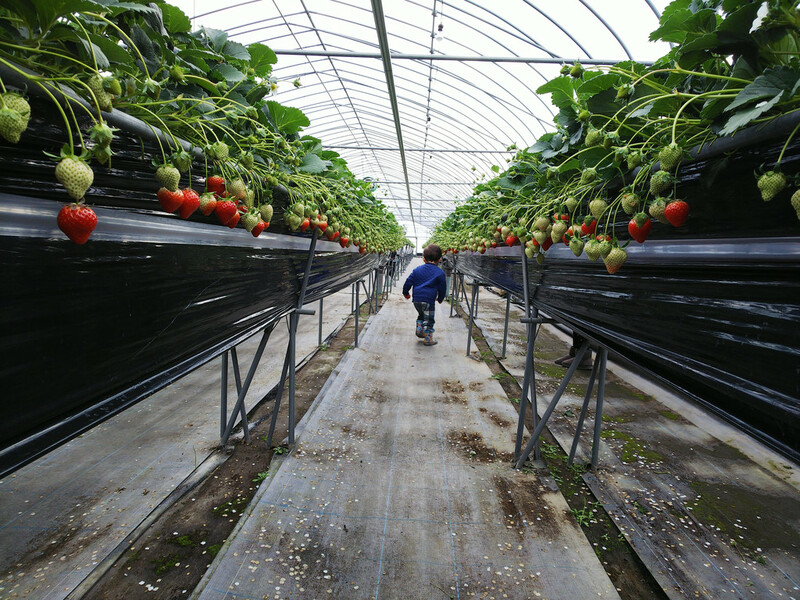 For a certain sum (I think that regular price is about 1,600 yens per person, quite pricey in my opinion but we had a coupon with a big discount) you have free access to a certain section of the greenhouse for 40 minutes and you can eat as many strawberries as you want, straight off the vine. You can’t bring them home, though. 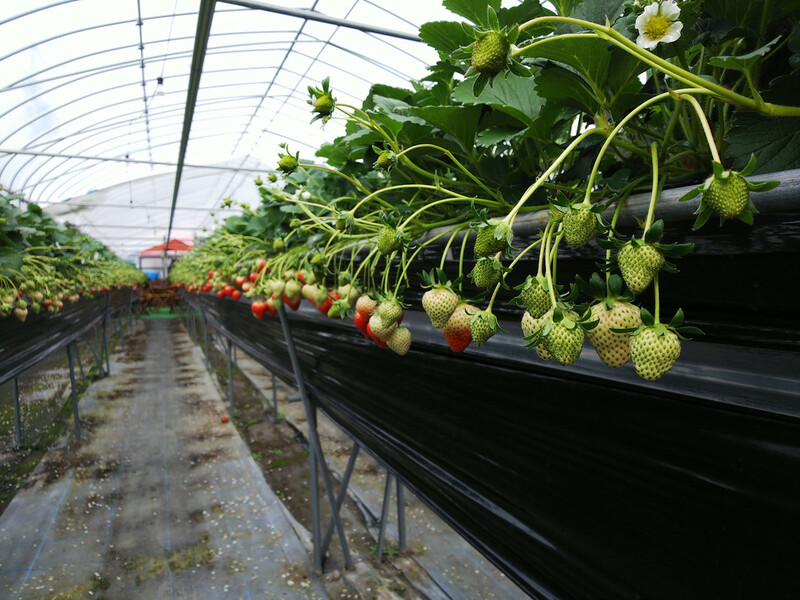 We had access to two varieties of strawberries, the Sanuki variety, which is the local ones. They’re huge and totally delicious. 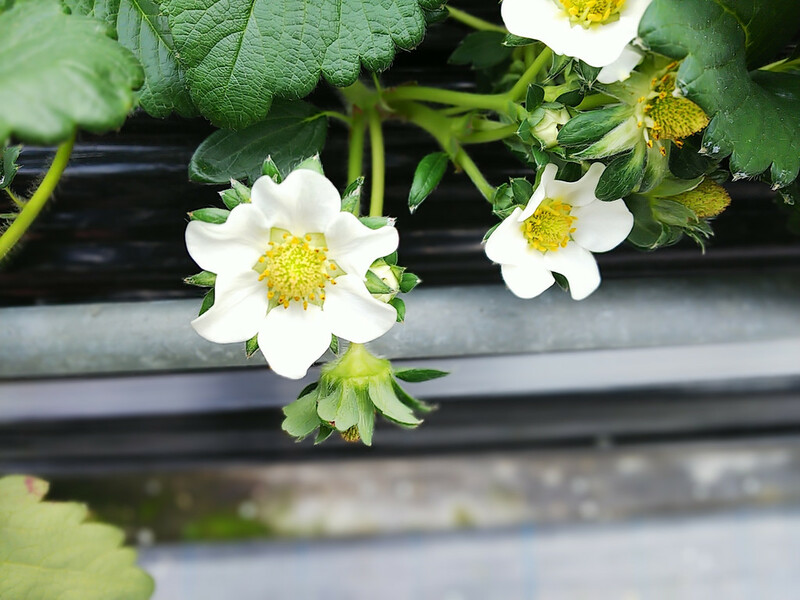 There also was another variety, I forget its name and they were closer to the kind that’s common in Europe, that is a tad bit more sour. 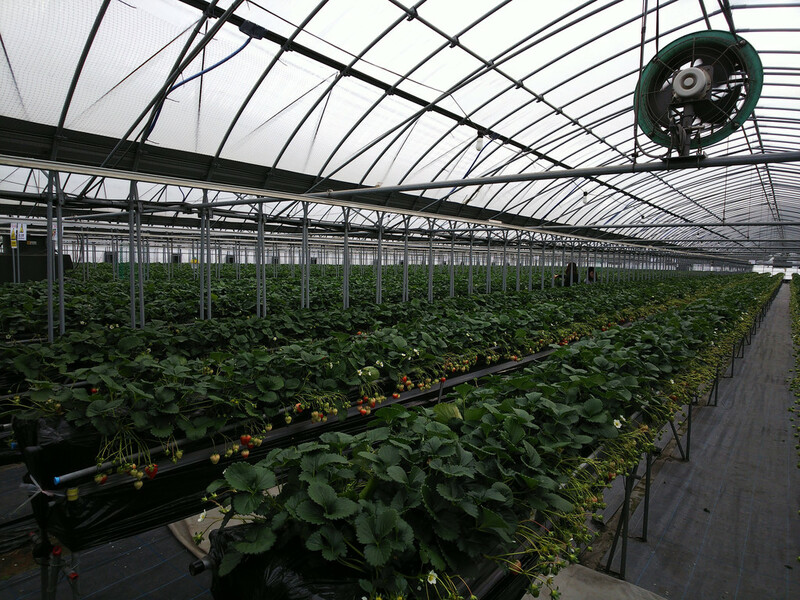 All in all, it was a great way to spend part of our Saturday afternoon, especially because it was almost freezing outside and more than 15°C inside the greenhouse. 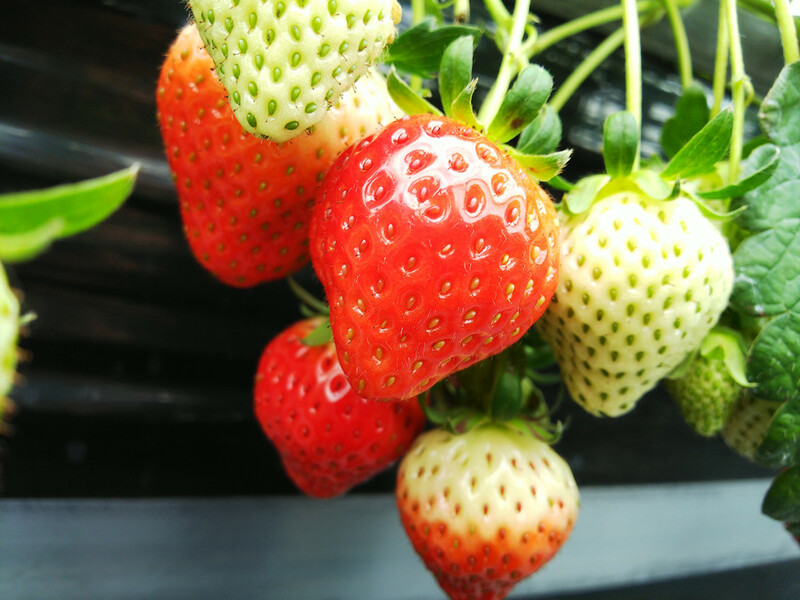 Oh and if you’re surprised to find strawberries in winter, because in your country they’re a Spring fruit, know that they’re actually called ichigo in Japanese because they can be eaten from January (ichi in Japanese means one) to May (go means five). 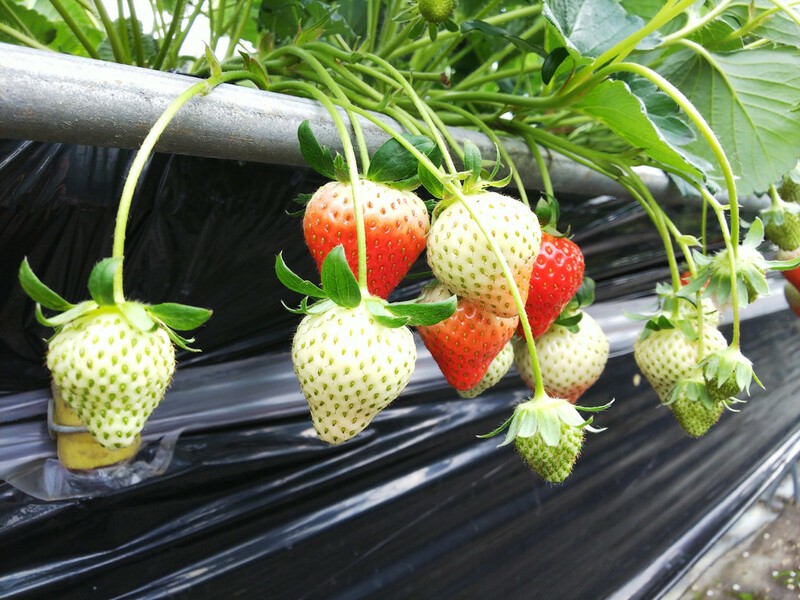 Those really were the first ones of the year, as you can see, some weren’t ripe just yet.